Fraser Island is most famous for its incredible natural beauty, abundant wildlife, pristine rainforests, freshwater lakes and endless beaches. But for many years during World War II, the white sandy beaches and iconic beauty spots such as Lake McKenzie served not as idyllic destinations for holidaymakers, but as a training ground for some of Australia's earliest special commando troops. The Australian Government chose Fraser Island as the site for its secret Commando School for its seclusion and because the island's difficult and varied terrain lent itself to both jungle and amphibious training. A total of 909 men camped at the Fraser Commando School at North White Cliffs and underwent training for what turned out to be some of the most successful raids of the war. Z was a special unit known only to the Prime Minister and High Command. 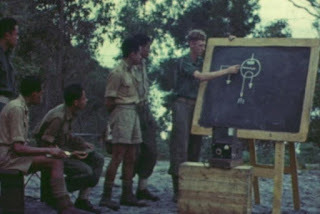 Z Unit was formed in 1942, in response to the rapid Japanese invasion of the Pacific area, to organise agents and missions into enemy occupied areas in the South West Pacific. The Z Unit was given the cover name of Services Reconnaissance Department (SRD) a nondescript name for a very active group of agents. More than 260 operations behind enemy lines were undertaken. Some are still on the secret list. Training at the camp was intense and local leave for the troops was not allowed. They trained daily, from early morning to late evening. The main emphasis was on physical fitness and the day started with an early morning eight kilometre run in full equipment to Lake McKenzie and back and included a swim across the lake fully clothed, all under the stopwatch. The men were taught how to survive in the jungle, unarmed combat and methods of silent killing. The learned how to operate all weapons, including the silent “Welrod” pistol, a sub machine gun with silencer, and the killing knife. They became expert in using small party tactics, plastic explosives, timing devices and booby trap pressure switches. 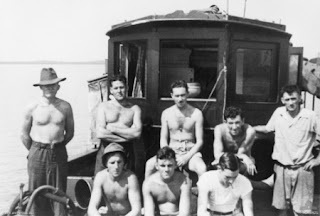 The most famous mission carried out by members of the Z Unit was the raid on Singapore Harbour in 1943 when fourteen men sailed from Western Australia in the Krait, a small, captured Japanese fishing vessel, to successfully destroy 40 000 tons of enemy shipping. It was the longest and one of the most extraordinary sea raids in the history of war. The Krait travelled nearly 5000 miles and spent 47 days away from Australia, 33 of those in Japanese controlled waters. Every man who took part was decorated or mentioned in dispatches. The operation was code-named ‘Jaywick’ and the Krait returned to Australia without loss of life. Today, visitors to Kingfisher Bay Resort can still hike along the Western Beach and through the rugged scrub and find the remnants of the special commando camp.